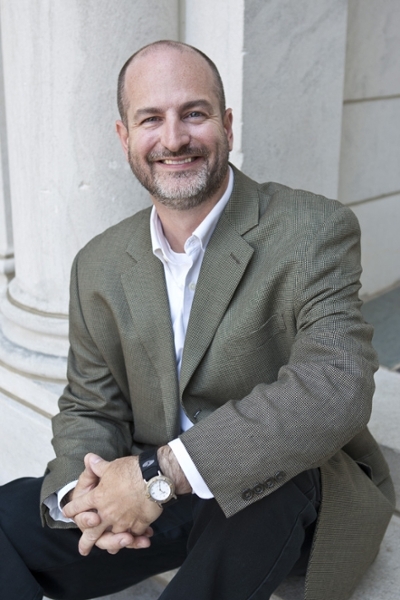 Jeff Leonard specializes in the areas of Hebrew, Hebrew Bible, and the ancient Near East. He brings these subjects to Samford’s students through courses such as Elementary and Intermediate Hebrew, Creation and Covenant (Torah), Psalms and Wisdom Literature, Introduction to the Prophets, David, and Gods and Monsters (Mesopotamian history and religion). He also speaks regularly on these topics to local churches, schools, and community groups. An acclaimed teacher and mentor, he received the 2017 Dean’s Award for Teaching from the Howard College of Arts and Sciences. Dr. Leonard has devoted much of his scholarly efforts to the study of the phenomenon known as inner-biblical allusion. A particular focus in this area has been his exploration of the relationship between the Israelite historical traditions in the Torah and those found in the so-called historical psalms. His article, “Identifying Inner-Biblical Allusions: Psalm 78 as a Test Case,” in the Journal of Biblical Literature focuses on methodological concerns related to this exploration, as does his forthcoming contribution entitled “Identifying Subtle Allusions: Narrative Tracking as an Additional Tool for Research.” These topics have also been the subject of many of Dr. Leonard’s presentations at professional conferences, both in the United States and abroad. Dr. Leonard joined Samford’s religion department as a full-time faculty member in 2012 after serving for a number of years as an adjunct. Prior to his coming to Samford, he received an M.Div. from Alliance Theological Seminary in Nyack, N.Y., and his Ph.D. from Brandeis University in Waltham, Mass. He is an ordained minister who teaches a Sunday School class at Dawson Memorial Baptist Church, where he is a member. In his free time, Dr. Leonard will be found traveling, backpacking, reading, or just enjoying time with his wife and two sons. “Identifying Inner-Biblical Allusions: Psalm 78 as a Test Case.” Journal of Biblical Literature 127 (2008): 241-265. “Source, Yahwist, Critical Issues.” Lexham Bible Dictionary, edited by J.D. Barry, L. Wentz, D. Mangum, et al. Bellingham, Wash.: Lexham Press, 2014. “Dhahr Mirzbaneh.” Lexham Bible Dictionary, edited by J.D. Barry, L. Wentz, D. Mangum, et al. Bellingham, Wash.: Lexham Press, 2014. “Sam’al.” Lexham Bible Dictionary, edited by J.D. Barry, L. Wentz, D. Mangum, et al. Bellingham, Wash.: Lexham Press, 2014. “‘Ain Samiya.” Lexham Bible Dictionary, edited by J.D. Barry, L. Wentz, D. Mangum, et al. Bellingham, Wash.: Lexham Press, 2014. “Identifying Subtle Allusions: Narrative Tracking as an Additional Tool for Research.” Contribution to a forthcoming volume on Inner-biblical Allusion, edited by Ziony Zevit. “The Psalmist as Historiographer.” Contribution to a forthcoming volume on Inner-biblical Allusion in the Psalms, edited by Mark Boda and Kevin Chau. “Inner-Biblical Interpretation and Intertextuality.” Lexham Methods Series, vol. 4: Literary Approaches to the Bible (forthcoming), edited by Douglas Mangum. Lexham Press, 2014. “Redaction Criticism.” Completed contribution to Lexham Methods Series, vol. 4: Literary Approaches to the Bible (forthcoming), edited by Douglas Mangum. Lexham Press, 2014. “Identifying Inner-Biblical Allusions: Problems and Promise in the Historical Psalms.” Annual Meeting of the Society of Biblical Literature (San Diego), November 23, 2014. “Let the Day Perish: The Use of Personification in Job and Jeremiah’s Laments.” Annual Meeting of the Society of Biblical Literature (Baltimore), November 25, 2013. “The Joke Is on … Whom? A Response to Barker, Jacobson, and Han on Wit in the Hebrew Bible.” Annual Meeting of the Society of Biblical Literature (Chicago), November 17, 2012. “The Psalmist as Historiographer.” Annual Meeting of the Society of Biblical Literature (San Francisco), November 20, 2011. “He Led His People Out with Gladness: Psalm 105 and the Return from Exile.” Annual Meeting of the Society of Biblical Literature (Boston), November 23, 2008. “Riddles from Olden Times: The Purpose and Provenance of Psalm 78.” Southeastern Regional Meeting of the Society of Biblical Literature (Atlanta), March 8, 2008. “Psalm 78 and the Boundaries of the Ark Narrative.” International Meeting of the Society of Biblical Literature (Vienna), July 25, 2007.